Siva is distinct from Brahma, Vishnu and Rudra. 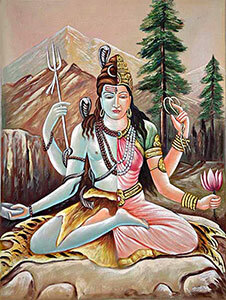 Lord Siva is the Lord of innumerable crores of Brahmandas or worlds. 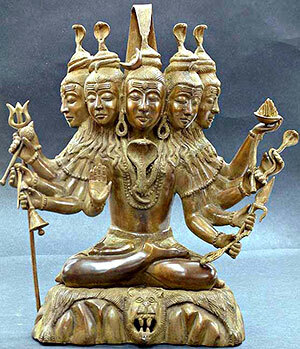 Isvara united with Maya gives rise to Brahma, Vishnu and Rudra out of Rajas, Sattva and Tamo Gunas respectively, under the command of Lord Siva. Brahma, Vishnu and Rudra are the trinities of the world. The first face of Siva does Krida or play, the second does penance, the third destroys or dissolves the world, the fourth protects the people and the fifth, being knowledge, fully covers the entire universe by its power. He is Isana the creator and promoter of all beings, from within. The first form of Siva is the enjoyer of Prakriti as Kshetrajna Purusha. The second is Tatpurusha resting in Sattva-guna, rooted in Bhogya-Prakriti, the Prakriti-enjoyed. The third is Ghora rooted in the eightfold Buddhi like Dharma, etc. The fourth is Vamadeva rooted in Ahankara and the fifth is Sadyojata, the presiding deity of the mind. 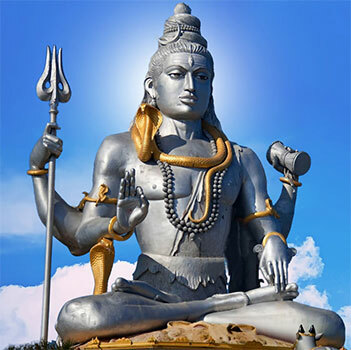 The eight forms of Siva are Sarva, Bhava, Rudra, Ugra, Bhima, Pasupati, Isana and Mahadeva, rooted respectively in earth, water, fire, air, ether, Kshetrajna, sun and moon.